I feel as though I should first apologize for bastardizing the formula for what is more or less the national candy of Brazil. If you’re looking to get a very traditional recipe, it’s probably best that you look elsewhere. However, if you’re a big fan of salted chocolate caramels, you might want to give this a try. It reminds me of a certain recipe from the dearly departed Domino magazine (whimper, whimper), but better. And you don’t even need a candy thermometer. Combine the condensed milk, butter, heavy cream in a heavy bottomed saucepan and bring to a boil over medium heat. When the mixture starts to bubble, whisk in the chocolate and cocoa powder. Reduce the heat to low, and cook, stirring constantly, until mixture easily pulls away from the bottom and sides of the pan. There are several tests you can use to ensure it is done. Swirl the pan around; if the whole mixture slides as one piece, it’s done. To put it another way, when you can draw the wooden spoon across the bottom of the saucepan and you are able to see the bottom of the saucepan for a second or two before the mixture combines back together, it’s done. Slide the mixture into a bowl and let cool. Once it’s at room temperature, chill in the refrigerator for 4 or more hours. 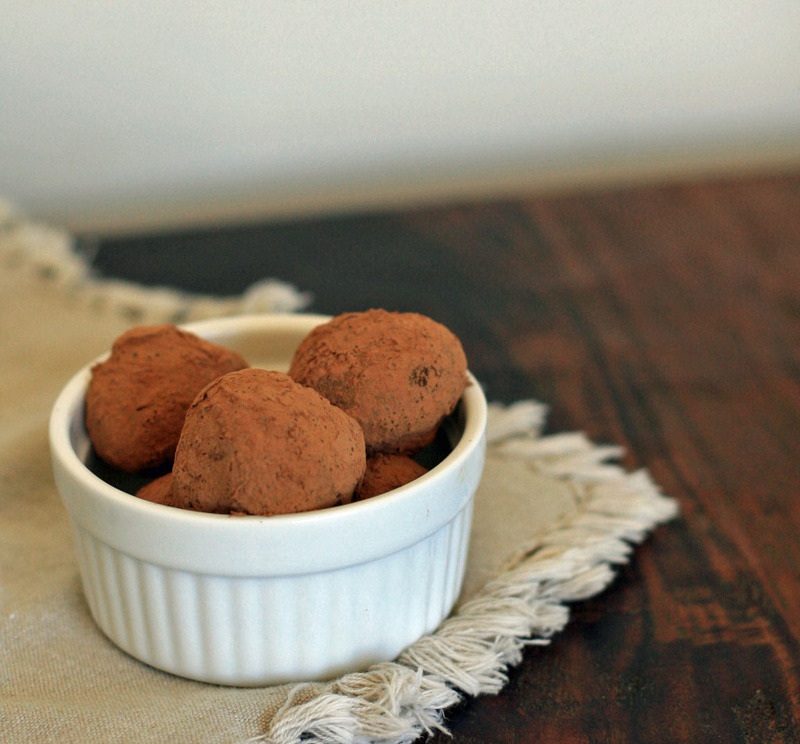 Scoop the mixture out and use your hands to roll each into a little ball about the size of a chocolate truffle. At this point you have several options. My favorite way to finish the candies was simply to top each with a couple flecks of sea salt. You can also roll them in unsweetened cocoa powder or chocolate sprinkles (the traditional route). I also saw some pictures online of brigadeiros rolled in colored sprinkles….. super cute for a kid’s party. Store, covered, in the fridge.